The Smartflower Pop is drawing lots of attention these days. 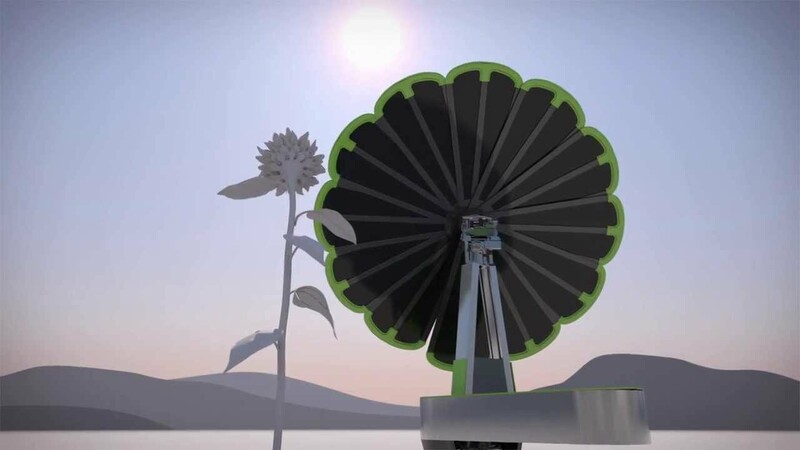 This innovative solar system for homes and businesses has “petals” which function as solar panels. The panels automatically rotate to absorb the most sun, much the same way as a flower will gravitate toward sunlight. The petals also automatically close up in the event of inclement weather to prevent damage in heavy thunderstorms or high winds. Interestingly, the system is installed separately from the house and only requires a space of about 5 sq.m. It’s also portable, so that if your home moves, the machine can be moved as well. It was designed and is manufactured in Austria, but is selling all over Europe and just began distribution in the U.S. The initial investment is significant, costing around 20,000 GBP. As with most technology, the price may drop over time and possibly the company may develop a smaller model for consumers with less power usage. Jonathan Margolis of Financial Times, Ltd., interviews the CEO of Smartflower.com in this 3-minute YouTube video with a demonstration.